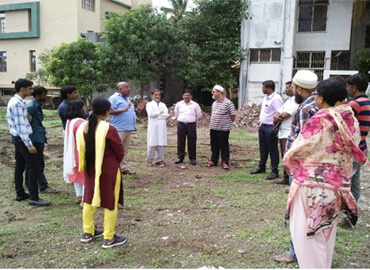 Feedback Foundation has been awarded a project by the Aurangabad Municipal Corporation to pilot decentralized solid waste management in 3 wards in the city using the Citizens’ Led Total Sanitation approach. Due to rapid industrialization and increase in population, the Corporation is facing immense difficulties in maintaining a clean environment and efficient solid waste management in the city. The pilot wards will be facilitated to achieve ‘No Open Waste’ status through segregation of waste at source and streamlining collection, transportation, storage, treatment and safe disposal of municipal waste.